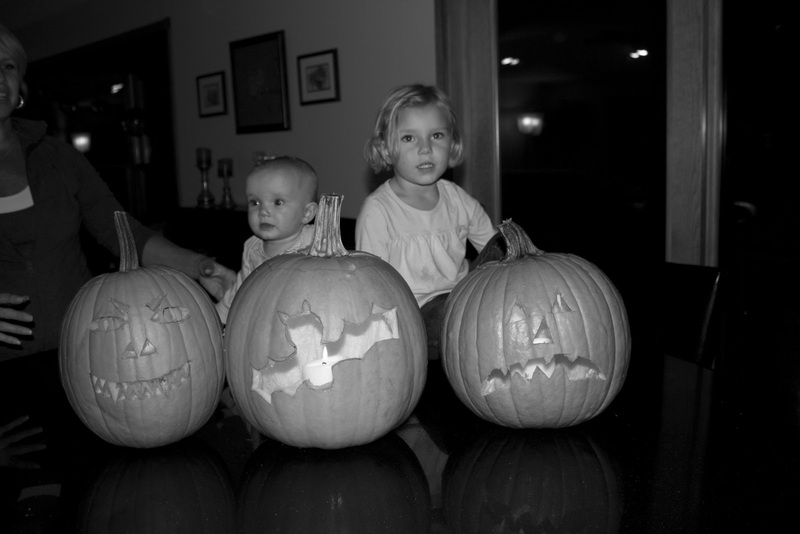 The weekend before Halloween we went to Chads aunt Denise house in Alexandria. 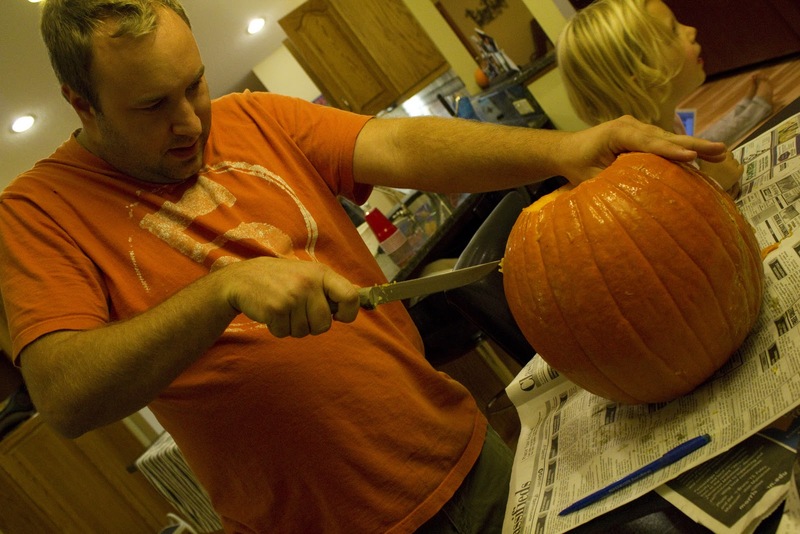 We went to carve pumpkins, family time and dinner. 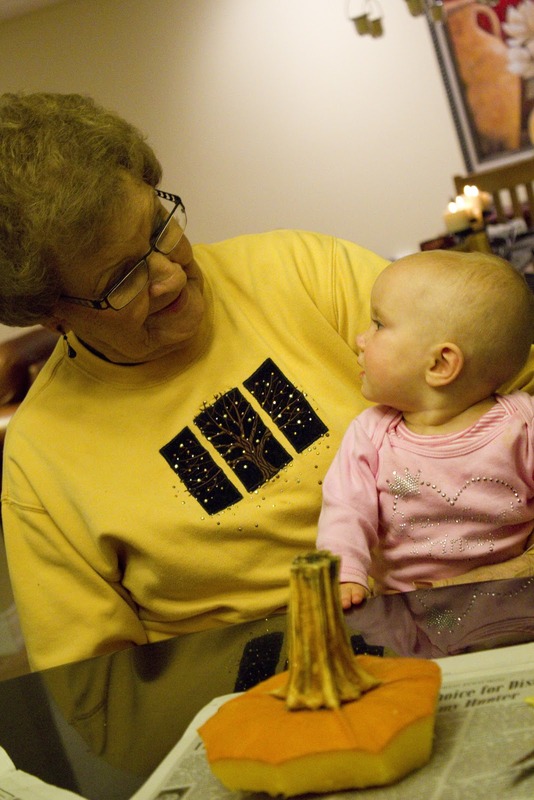 We love going there and spending time with family. It is super nice because Neese lives about half way between us and Chads parents. It is a really nice meeting spot for all of us. We will be doing Thanksgiving there as well this year. Neese went to school for teaching. She knows the best songs and has the greatest ideas for arts and crafts. Alex adores her and her girls. As you can see below Leah, Alex and Katie enjoyed sometime in the hot tub. We forgot Alex swim suit ( insert reminder her for Thanksgiving ) so she went in her undies. 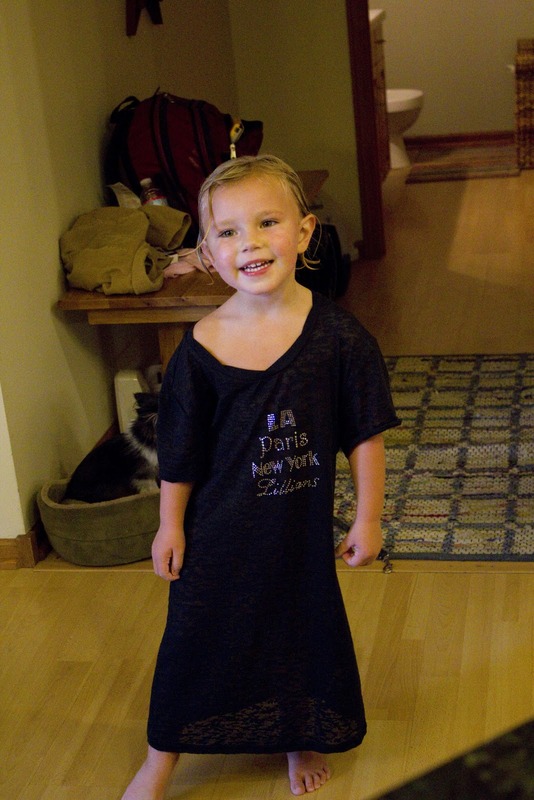 Once they got out she wore one of Leahs T-Shirts, in which it looked like a dress on her while her undies where in the dryer. 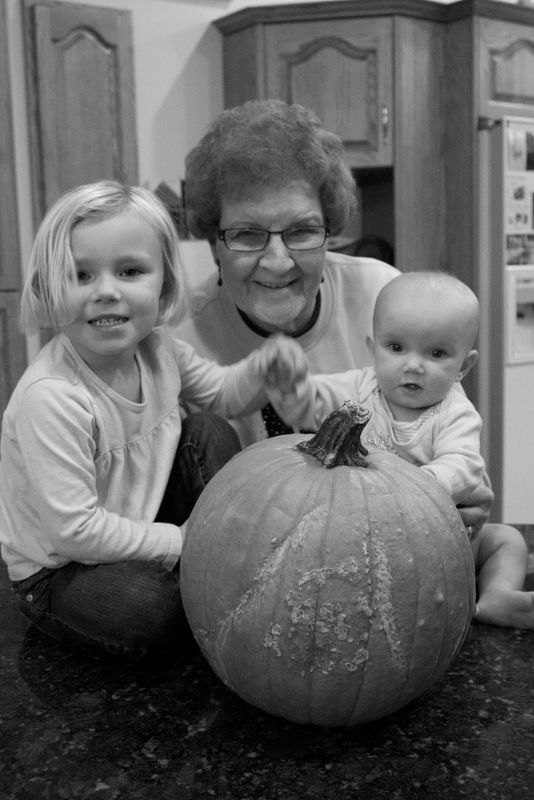 It is even more fun when Great Grandma comes and gets to spend some time with her grandchildren and great grandchildren. 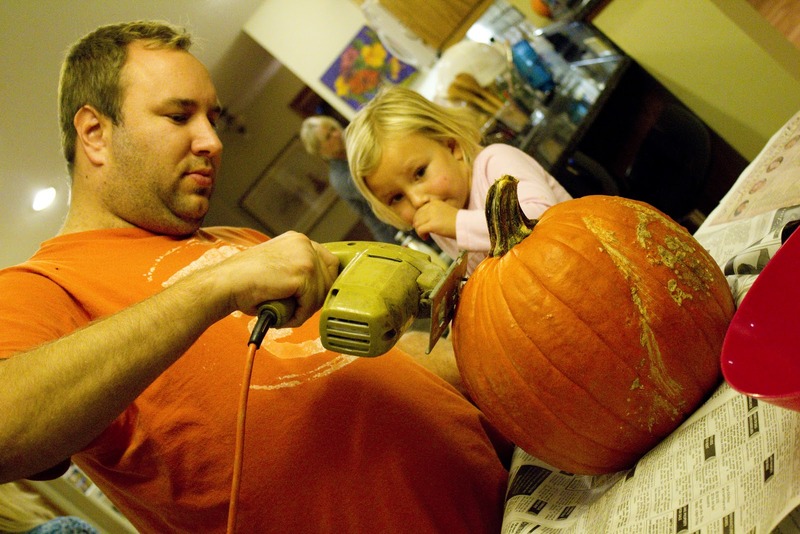 Some people carved pumpkins and others just watched or watched TV or ran around like crazy kids or got dinner ready. Alex was more interested in watching. 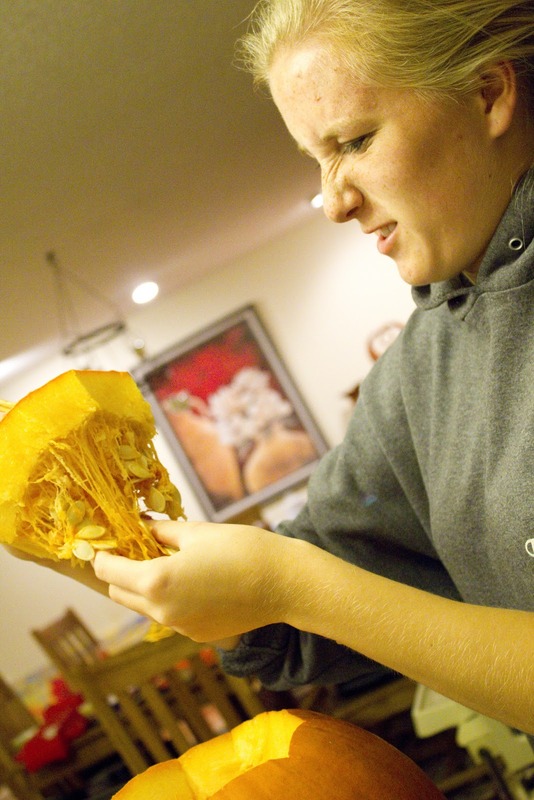 She did not want to stick her hand in the pumpkin and get everything out. 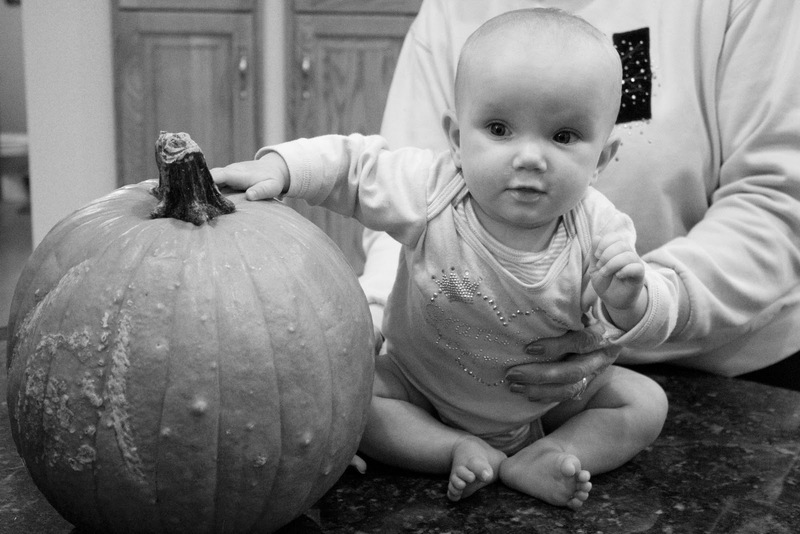 Maybe next year she will be more into carving pumpkins. Neese kept Avin busy and had Avin chasing Alex around the house!! 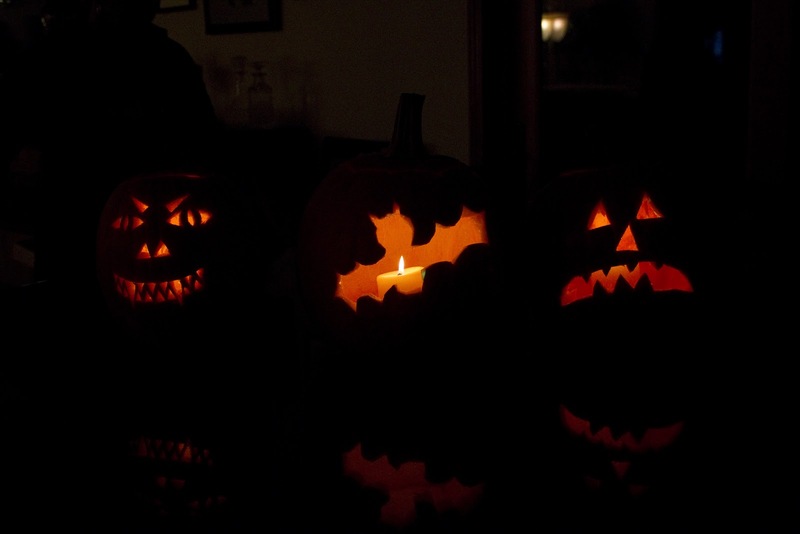 Here are the 3 pumpkins that where carved that night. My hubby said his was a vampire. I thought that was sweet considering how much I love the Twilight Series!! 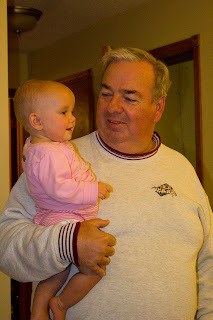 And grandpa of course got lots of time with Miss Avin! We had a great time and we love to take advantage of any family time we can get. Thank You Neese for letting us take over your house for awhile! PS. Don't forget to enter my giveaway below! 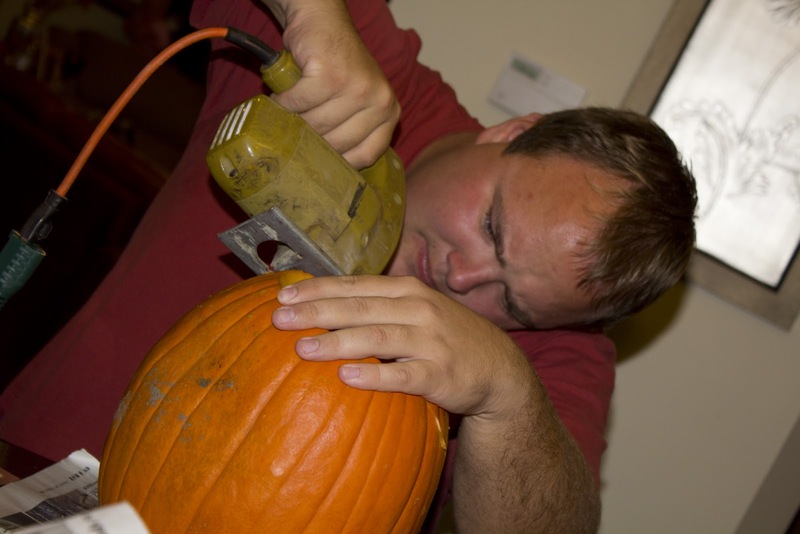 I love the use of power tools for cutting pumpkins! They came out so nice. We'll have to try that method next year! I always love your pictures!! I love how you lay them out in the post too, wish I could figure out how to do that! I agree with RN Mama, I love the way you lay out your pictures! 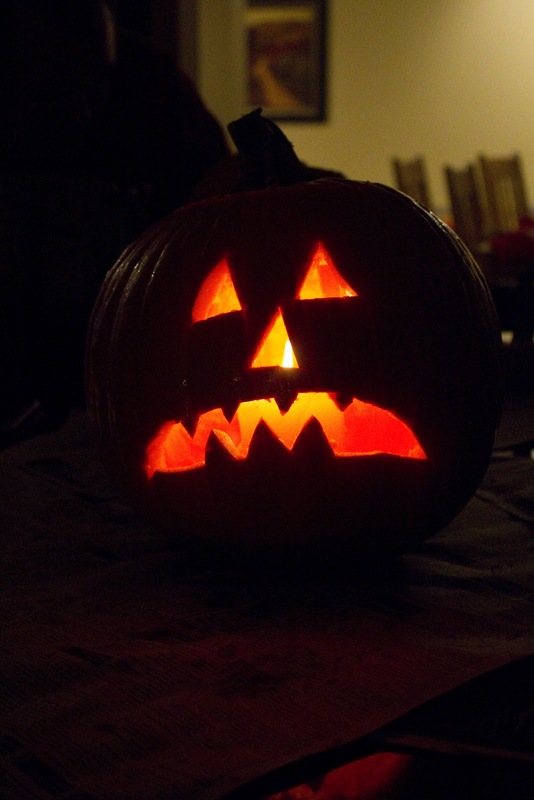 I could never make a pumpkin look that great!